How do I earn points and get rewarded? How do I redeem payments? When can I expect to receive my payments? There seems to be a delay in my payment redemption – where is it? Once registered, you will receive invitations by email to participate in surveys. When you complete each survey, your account will be credited with points, prize draw tickets or whatever incentive is stated on the invite. When this reaches the correct redeemable balance, you can claim either an Amazon voucher or the money can be paid straight into your bank account. Alternatively, you will be entered into a prize draw if you successfully complete a survey. The relevant incentive will be highlighted in the initial survey invitation for each survey. Prize draw and Online Community opportunities are also available with the possibility of higher incentives. Once you reach the correct redemption amount of 1500 points (or £15.00), a 'Redeem Your Points' button will appear on your My Profile page. 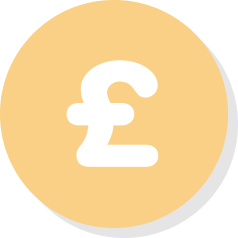 Clicking on this will then take you through the different SurveyBods payment options (If registered on or before 28/08/2013 your initial redemption amount will remain at £25.00). Remember you will need 1500 points (or £15.00) before you can redeem. Amazon voucher redemptions can take up to 5 business days to be sent out to your registered email address as a digital voucher code. Bank payments generally take between 2-3 weeks to credit to your selected account. SurveyBods redemptions via bank transfer take between 2-3 working weeks to credit your chosen account. Once these 3 weeks have passed, we’ll be more than happy to take a look into this for you. Amazon vouchers usually take between 2-3 business days to be sent out to you when we have them in stock. If we are currently out of stock, they’ll be sent out to you as soon as they arrive.